Keane is the #1 choice of the financial services industry for owner location and SEC Compliance. We’re also proud to be the number one choice of brokerage firms for outsourced shareowner search solutions. We have protected millions of investor accounts by offering customized communication programs that locate, update, and revitalize lost accounts before they must be reported to the states as unclaimed property. However, new “missing owner” search rules are in development. Through revisions to SEC Rule 17Ad-17 in response to the Dodd-Frank bill of 2010, all brokers will soon face a new set of requirements. Keane is ready to support brokerage firms in meeting these requirements. Ensure compliance with all requirements of SEC Rule 17Ad-17. Dramatically reduce compliance costs for location, mailing, and operational resources. Locate and retain lost customers, retaining their assets under management that would otherwise be escheated. Ensure Compliance: What are the requirements? Like transfer agents, brokers will need to comply with SEC Rule 17Ad-17 by conducting up to two shareowner searches in an attempt to locate account owners once their accounts are coded as “lost” or “returned from post office” (RPO) because mailings sent to the address of record are returned as undeliverable. The first search must take place between 3 and 12 months of being coded as lost; the second (if necessary) must be conducted between 6 and 12 months from the first. If the owner is deceased, or not a natural person (i.e. a corporation, trust, or partnership), the account is excluded from the requirement. Accounts less than $25.00 in value are also excluded. The Dodd-Frank bill also expanded the scope of the Rule to require action when checks remain uncashed. Specifically, an account owner is considered missing if a check is sent to the address of record and it is not negotiated before the earlier of 6 months after the sending of the not-yet-negotiated check, or the broker sending the next regularly scheduled check.  For more information on SEC Rule 17Ad-17 and the impact on unclaimed property compliance, visit our Unclaimed Property Blog. Questions on our Shareowner Search Services for Brokerages? Call us at 800-848-8896 to speak with an Unclaimed Property specialist or send us an email at questions@KeaneUP.com.